Heather is a Licensed Professional Counselor (LPC) and has been providing individual, couples, family, and group therapy since 2007. Also, she has experience as a clinical supervisor and trainer. She earned her Bachelor of Arts degee in Psychology from the University of South Carolina and her Master of Art degree in Professional Counseling from Argosy University in Atlanta, Georgia. Heather specializes in evidenced-based practices including Dialectical Behavioral Therapy (DBT), Cognitive Behavioral Therapy (CBT), Person-Centered Therapy, Structural Family Therapy, and trauma-informed treatment modalities including Trauma-Focused Cognitive Behavioral Therapy (TF-CBT) and Prolonged Exposure. 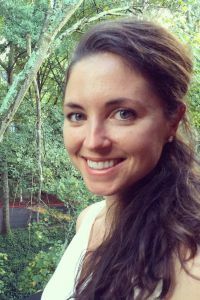 At TRU, Heather provides counseling for the residents of Buckhead and the greater Atlanta area. She has extensive experience with adolescents and adults with concerns ranging from self-esteem, emotion regulation, and interpersonal relationships to depression, anxiety, and trauma. Heather is passionate about helping others reach their full potential by building upon their strengths. She firmly believes that with self-awareness, acceptance, and change, one can cultivate a healthy mind, body, and spirit that will encourage inner peace and happiness.